In many cases, you may find duplication of Contacts which occur when you mistakenly recorded one contact name or phone number for several times. Even though there are many choices to solve the problem, you'd better give PhoneClean a chance since you'll find how easy it could be. 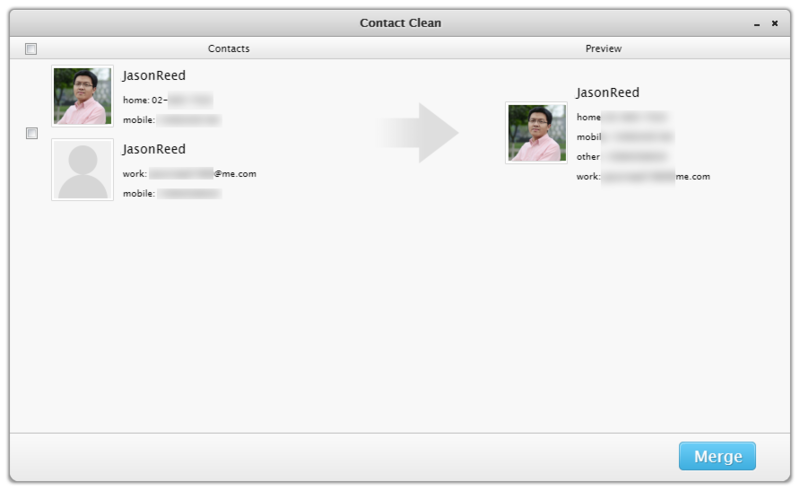 Tip: if you see a message stating 'PhoneClean cannot access your device since it's associated with your iCloud. Please cancel the association to continue. ', then please follow this tutorial to continue.